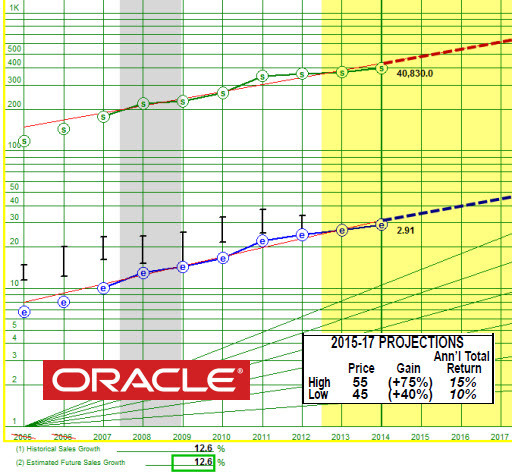 The 6th selection in our annual stock selection countdown is Oracle Corp (ORCL). No, there’s no particular connection between the water-logged feathered creatures shown here and the America’s Cup yachts captained by Larry Ellison. The connection is that every year around the winter solstice, we’ve selected Oracle during the countdown. The 2011 entry was a little weaker (-4.9% relative return) but the 2012 edition was one of the better performers, checking in with a total return of 29.3% for a relative return of +12.0%! On average, pretty solid performance over the last couple of years. 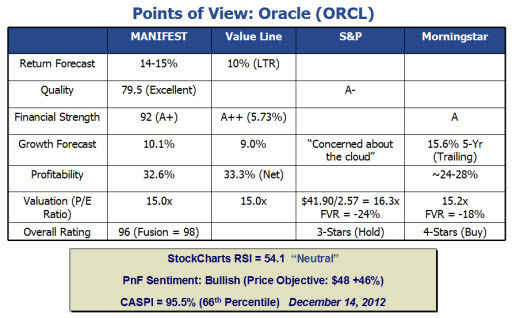 Operationally, Oracle continues to fire on all cylinders.